Bangkok-based Backyard Travel is presenting a new way to explore China’s Yunnan Province, by train. The tour will call at some of the province’s most popular destinations including Kunming, Dali and Lijiang as well as the Jade Dragon Mountain, Erhai Lake and the Three Pagodas at the foot of the Changshan Mountain.? The six-day, five-night trip begins in Kunming, the provincial capital province with an important visit to the Yunnan Ethnic Minorities Museum. With more than 20 of China’s 56 ethnic minorities living in the Yunnan, the museum is an essential stop on the rail tour. From Kunming the journey moves by overnight train to Dali, home to the Bai hill tribes and several scenic regions including Erhai Lake and the Changshang Mountains. Dali’s old town is a maze of white-walled homes fronted by beautiful porches which the local Bai community takes care of with great pride. Lijiang is the next stop after a 2.5 hour train ride. Lijiang is known for its labyrinth of traditional redwood and brick houses topped with grey slate roofs interlaced with canals and stone bridges. 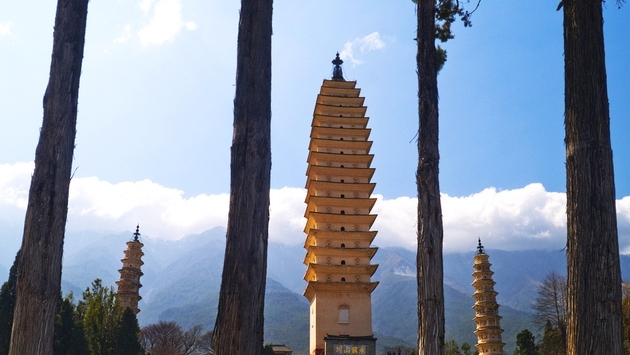 Populated mainly by the Naxi people, Lijiang is lovingly referred to as the ‘Big Inkpot’ due to its network of canals that spread as if originating from an overturned pot of ink. While in Lijiang, travelers can visit the Mu Palace (named after Imperial Chinese warlords) and spend time in the old part of town to experience the local markets. Day five of the fully customizable China tour provides travelers the opportunity to venture to the Yak Prairie viewpoint to see the magnificent Jade Dragon Mountain from a less crowded spot. For active and ambitious travelers may climb to Ganzidou to oversee the landscape from an elevation of 5,600 meters. The tour concludes with a horseback ride along the Tea Horse Road near Lashi Lake in the National Wetland Park. Two popular brands are offering rail on a global scale as both Cox & Kings and Vacations By Rail are increasing their offerings with new destinations and new rail tours. It’s not surprising that Cox & Kings, the oldest Indian travel specialist should offer an Indian classic rail ride the Deccan Odyssey, but their new Rail Journeys are now featuring opulent trains on four continents, which can be booked as an integral part of a custom designed journey. The Blue Train and Rovos Rail in Africa, the Trans-Siberian and Glacier Express in Europe, the Eastern and Oriental Express in Asia and the Spirit of the Andes and Tren Crucero in Latin America are now in their brochures as are such Indian rail tours as their Indian Odyssey, which uses the Deccan Odyssey visits Taj Mahal, Jaipur, Ranthambore National Park, the cave complexes of Ajanta and Ellora. Vacations By Rail is introducing six new rail tours in 2014 including independent and escorted tours in the USA, Canada, Europe and South America; they’ve also enhanced some of their most popular existing packages. The new vacations range from eight to 11 days. The new 11-day Memphis to New Orleans Rail-River Journey, for instance, goes from Chicago to Memphis aboard Amtrak’s City of New Orleans, and from Memphis to New Orleans via steamboat with ports of call including Vicksburg, Natchez, St. Francisville, Baton Rouge and Plantation Road. The new 10-day Rail through the Canadian Rockies escorted rail tour features an all-daylight journey aboard the Rocky Mountaineer between Vancouver and Banff and a classic overnight rail trip between Jasper and Vancouver aboard VIA Rail’s Canadian—and visits to Banff, Yoho, and Jasper National Parks, Lake Louise and Vancouver. The new 10-day Best of Western Europe includes three nights in both London and Amsterdam and two nights in Paris with city orientation tours and transportation in each city; and, rail travel aboard the high-speed Eurostar and Thalys trains. Two new escorted tours, one in England and one in Italy, round out new offerings in Europe in 2014. 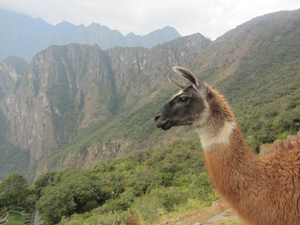 The eight-day escorted tour to Lima, Cusco, and Machu Picchu on the new Highlights of Peru vacation travels aboard the Vistadome train to Machu Picchu, a visit to the Sacred Valley, and sightseeing in Lima and Cusco. Some of the additions and modifications to popular rail vacations include the addition of an excursion to Martha’s Vineyard on the seasonal Fall Colors, Scenic Trains & Martha’s Vineyard tour, and a revamped independent journey aboard Eastern Canada’s premier Le Massif de Charlevoix train on the expanded eight-day Le Massif de Charlevoix & Quebec vacation. Eurail is offering an Early Bird deal which offers non-European residents free travel days on Eurail Global Passes purchased from Feb. 1 through March 31. Early Bird Passes have a six month pre-booking period and include 15 days, 21 days and one month validities. 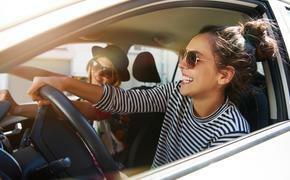 The offer applies to both first and second class Eurail Global Passes and are open to all travel categories: Adults, Child, and Youth, including Saver Passes intended for groups of two to five people, offering an additional15 percent reduction. The “Early Bird” campaign offers two extra travel days for the 15-day Eurail Global Pass, three extra travel days for the 21-day Eurail Global Pass and five extra travel days for a one month Eurail Global continuous Pass. Last year’s Early Bird promotion proved very successful, boosting sales in March of the Global Pass by 96 percent. The opportunity to receive extra travel days motivated nearly twice as many customers to buy the Eurail Global Pass. Generating more than 55 percent of total sales revenues, the Eurail Global Pass continues to be the most popular pass in the Eurail portfolio. With its 24 participating countries, it covers nearly most of Europe (including free or discounted travel on some major shipping lines) and gives travelers the largest variety of countries to choose from. Rail riders can now book Italy’s Trenitalia via AccesRail thanks to a new agreement signed by the two companies. The deal utilizes AccesRail’s expertise to enable Trenitalia to make its train tickets available on the sales platforms of all major airlines of the world. To the travel agent, this means that they can now easily book air and rail segments in the airline primary screen display of all important GDSs. And to the customer this means that they can now travel with air and rail segments on the same itinerary. For example, passengers landing in Rome will already have their Trenitalia ticket in-hand and can more easily board the train en route to their chosen destination. Trenitalia’s Le Frecce trains transport passengers throughout Italy. This intermodality, joining airlines and rail, allows airlines to extend their network by accessing secondary destinations with no or smaller airports, and railways are able to increase the visibility of their rail options while maximizing the load factor of their trains. AccesRail, a division of ACP Rail International, specializes in intermodal travel and GDS distribution, making it possible for its partner railways to interact with airlines in this way around the world. Air-rail intermodal solutions have been successfully implemented for numerous railways including Renfe, Deutsche Bahn (DB), Norwegian State Railways (NSB), Swedish Railways (SJ), East Japan Railways, J R Kyushu, Dutch and Belgium Railways (NS/SNCB) and Thalys.